The first #SaveUGMusic meeting was held on Thursday (Oct 19) afternoon at Laftaz Comedy Lounge. It was the first meeting that saw artists turn up in such large numbers and most of those who were not present had shows out of the station. Chameleone and Kenzo who are the brainchild of this music organisation have performances abroad. The meeting kicked off with electing office bearers, Swangz Avenues CEO, Julius Kyazze, was elected as the Chairman of the association which he says will have a different name other than Save UG Music. Julius will be deputized by Angella Kalule, who was nominated by Juliana Kanyomozi after turning down the offer citing her busy schedule. Other officer bearers include; NTV the Beat's Douglas Lwanga as the Treasurer, Bushingtone as Mobiliser/Speaker and Silver Kyagulanyi as the Secretary. It was also agreed that this being an association of artists, it would be ideal if artists representing different genres were part of the management team; Mesach Semakula (Band), Pallaso (Dance-Hall), Mathias Walukagga (Kadongo Kamu) and Levixone for Gospel were the artists elected to be on the panel. Efforts of Cindy opposing Pallaso to being the Dance-Hall rep fell on deaf ears, he quickly jumped out and came to defend his title by doing a cappella to prove his point, it was later agreed that he maintains that position and not Afro Hip-Hop as Cindy was suggesting. 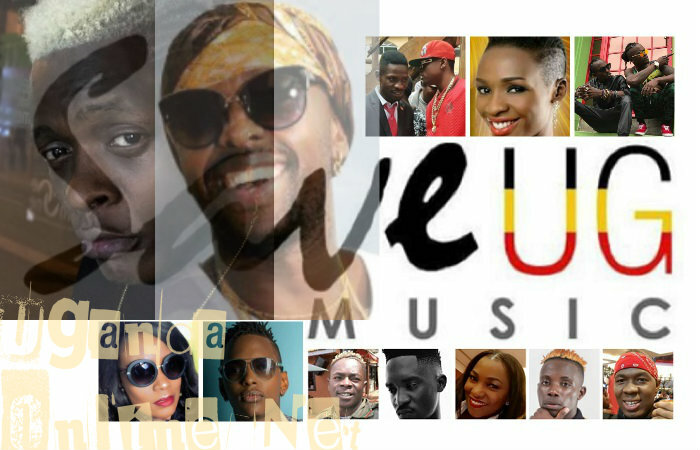 After the voting, the meeting crossed to the contentious issue of Uganda Performing Rights Society (UPRS) which many artists claimed did not understand how it operated, even those who have benefited from UPRS claim it's still not clear what they receive. Singer Big Eye claimed he was a beneficiary, but declined to disclose the amounts involved, however, he was still not happy. The majority of artists have not received a penny from the society...Singer Van Data and Cindy were so bitter that even their very own music on YouTube is blocked when they try to upload it with claims that they don't own it.. It's these and many other complaints that the artists turned up in large numbers to form a new association like they did, to play a similar role of UPRS, or better still, to get UPRS to explain to them every little detail on how much is collected vis-a-vis how much the artists earn. Dembe FM Kasuku live show host, Eddy Sendi was explaining exactly how UPRS works and how artists should be part of it, but this was the last thing Moze Radio wanted to hear, he grabbed the mic from him and started assuring him of how they had heard enough of the 'old stuff' and it was time for the new. "We have turned up in large numbers for the new association, not that one, " Moze Radio added. The new Chairman, Julius Kyazze talked of how he was in advanced stages of launching a platform that will have artists upload their music for sale and for every purchase, they will receive a report in their account in real time.